For a number of years the 495/MetroWest Partnership has commissioned an annual Real Estate Report. 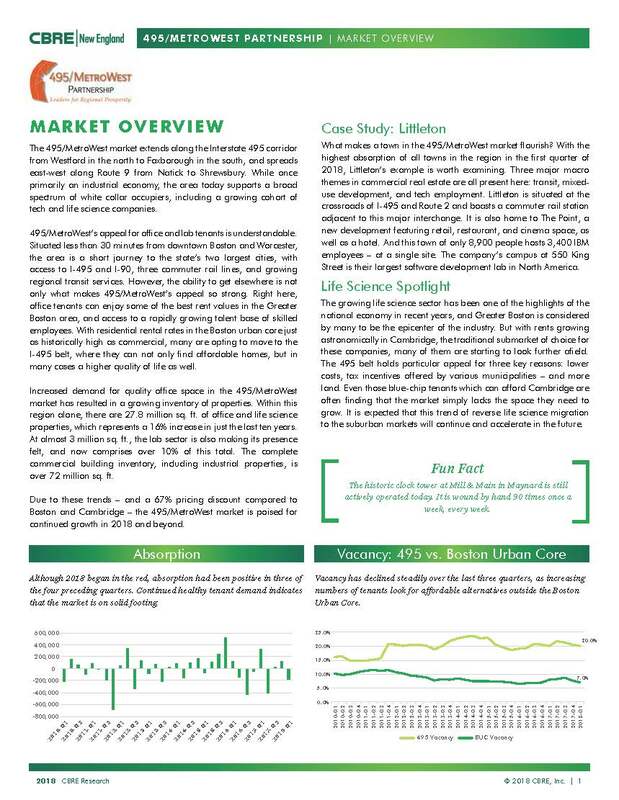 We are pleased to announce a new partnership with CBRE|New England on this valuable resource analyzing the commercial real estate market in the 495/MetroWest Region. We are happy to share the new report in support of our mission to advance the economic growth in our region. Click on the image below to download the 2018 Report.